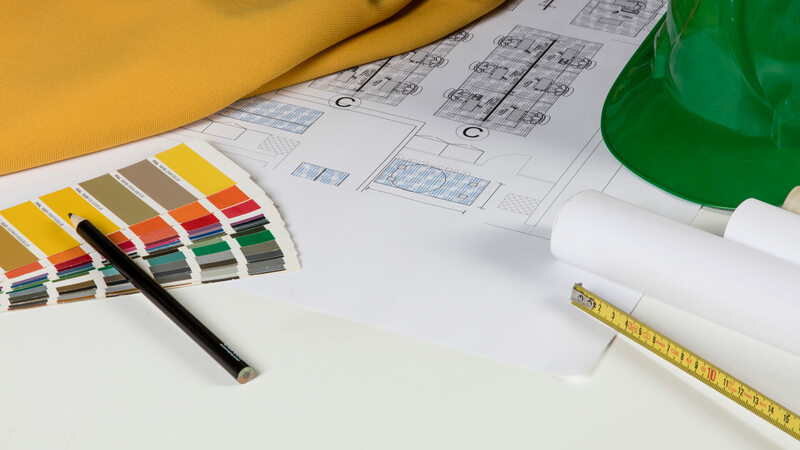 Caruso Acoustic sound-absorbing products are exceedingly versatile, offering the opportunity to customise size, colours and the printing on the panels, thus guaranteeing the perfect solution for every project. The fixing systems can also be studied specifically for each individual customer, offering even more flexible solutions. Within an environment, sounds generated from several sources reverberate (echo), due to the high proportion of construction materials with a low acoustic absorption capacity, as well as the volume. This causes a subsequent increase in the sound level (decibel). Under such conditions, communicating becomes exhausting and the volume spoken will be louder than necessary, leaving users with an unpleasant feeling of fatigue. There is an ever increasing need to improve the living conditions of an environment, including in terms of its acoustic performance. 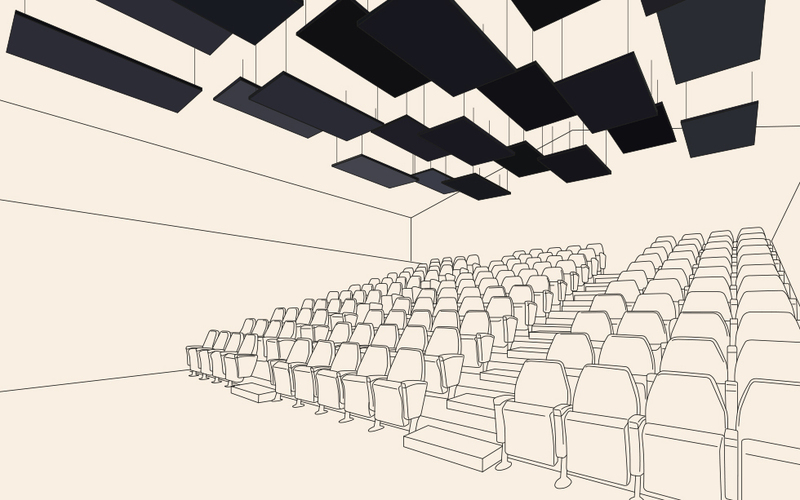 The proper design of a venue should focus on its finishing materials, which must guarantee appropriate acoustic absorption for the intended activity at that venue. For existing structures, solutions can be adopted at the furnishing design stage, by incorporating sound-absorbing material in order to guarantee acoustic comfort. 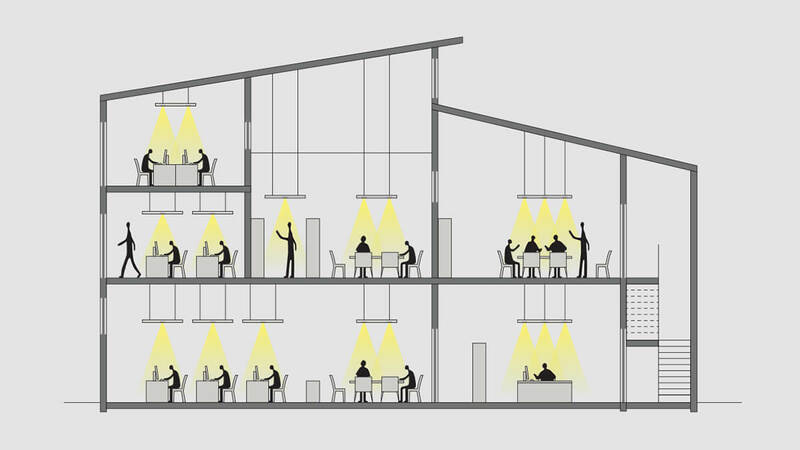 At the design stage, Caruso Acoustic offers a lighting analysis service to identify the amount of light required for the environment. 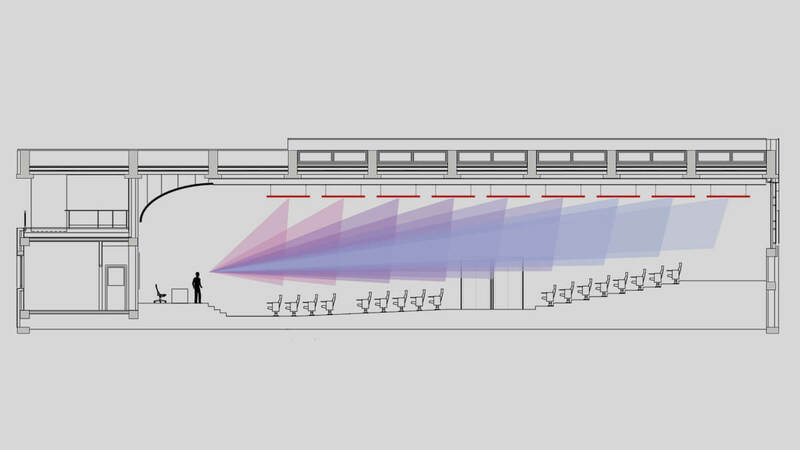 Our technical team also carries out the necessary measurements to direct the beams of light, to ensure the pertinent areas are lit effectively. 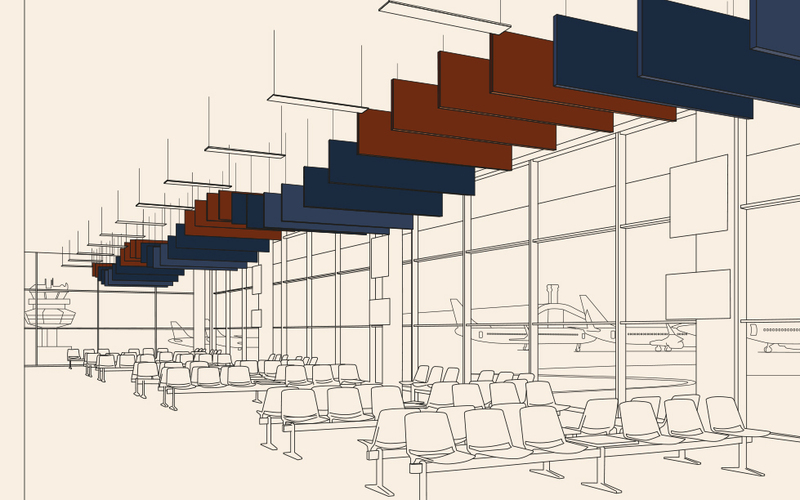 Caruso Acoustic has understood this problem and has developed a solution to improve reverberation times in airport lounges. 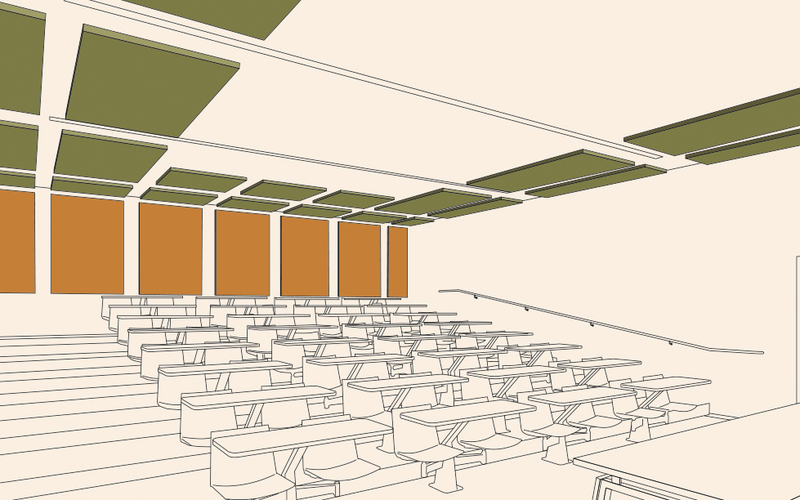 The proposed acoustic correction project concerns a classroom of 108 m² with a capacity of about 90 places. In a conference hall, acoustic comfort is a fundamental requirement for a good listening quality at medium and long distance.